→ [pokecrystal] Why do ellipses print out too high in battle? 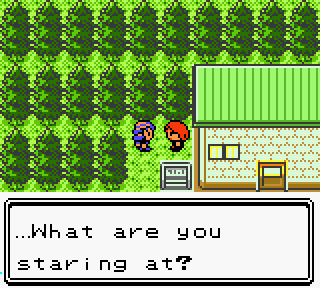 [pokecrystal] Why do ellipses print out too high in battle? I thought this might be because a different graphics file is used in battles, but the ellipses in gfx/font/* and gfx/misc/font* are all drawn at the same height in their 8x8 box. Regular text is drawn by MapTextbox, and in-battle text by BattleTextBox. But they both rely on SpeechTextBox to draw the border and PrintTextBoxText to draw the characters. It might have to do with Text_TX_DOTS' special handling of ellipses to delay after printing them, but (a) I don't see why the delay code would shift the graphics and (b) it shouldn't only apply during battle. 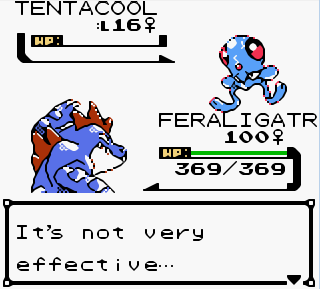 Re: [pokecrystal] Why do ellipses print out too high in battle? The offending graphic is in gfx/battle/hp_exp_bar_border.1bpp.